Tired of your dull, boring stock C6 Corvette interior? 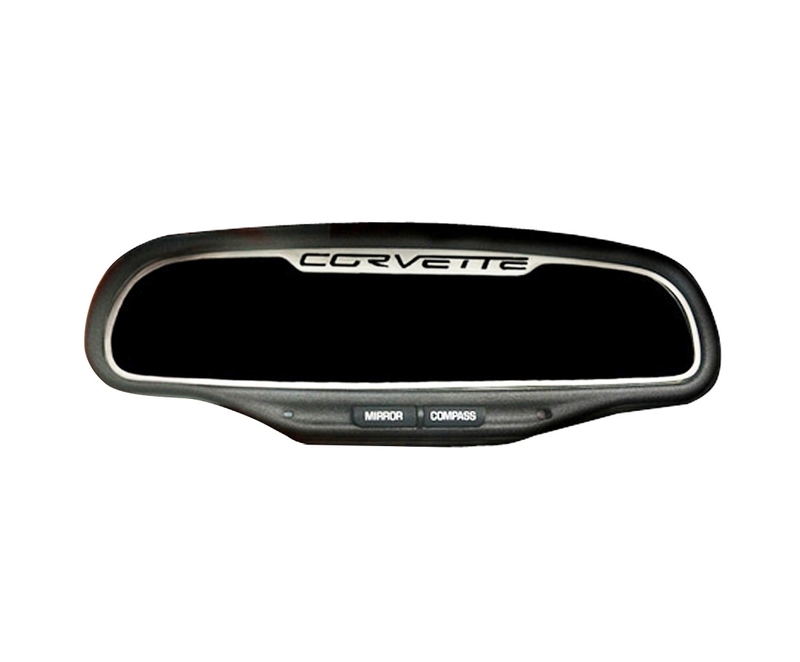 Dress it up with a touch of stainless by installing this inside rear view mirror trim. Includes "Corvette" script laser cut into the trim or the Crossed Flags logo. Attaches with self-adhesive, includes complete instructions and adhesive promoter. Please use the drop down menu above and make your correct logo and mirror selection. Fits auto-dimming mirror or standard. 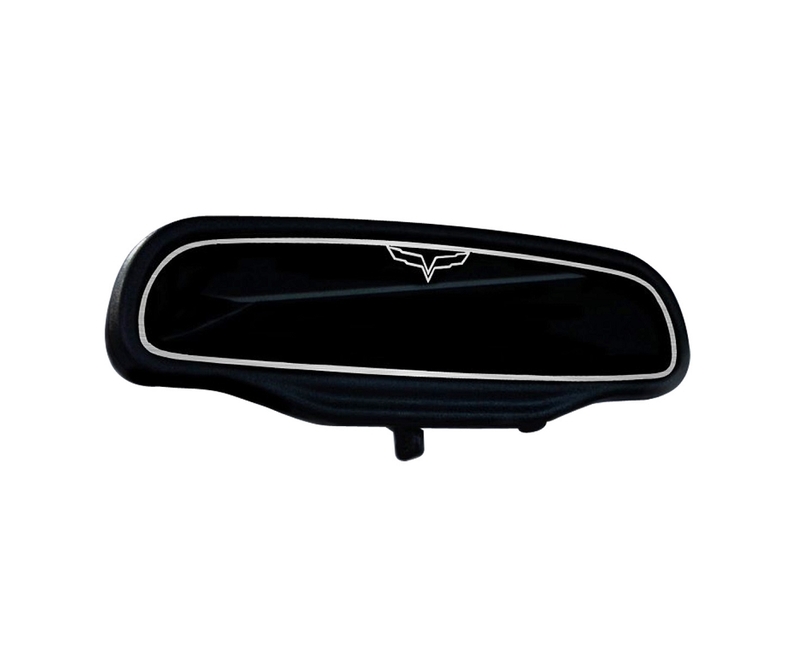 Q: MY mirror does not have the mirror or compass buttons on it like the picture shown so only thing on it is the passenger air bag light so does that mean I would need the standard mirror? Q: does this mirror come with the part that connects to the windshield?